Southern Creations furniture is created in New Zealand, crafted by hand, and brought to you by people who care. We’ve been shaping beautiful spaces and inspired homes since 1961. For over 50 years we have been making beautiful wooden furniture; coffee tables, dining tables, dining chairs, bedroom sets, bedsides, hutches, sideboards, dressers, hall tables and TV consoles. Custom furniture is one of our strengths. Our furniture is sold throughout the country and we deliver to all New Zealand locations and also offer delivery to Australia and the USA. NDC are a husband and wife team, Nigel and Rawia Cotterill. Nigel completed a course in furniture design and making at the John Makepeace School for Craftsmen in Wood (Parnham College), Dorset, England. Rawia trained for two years at Rycotewood College in Oxfordshire, England. They have over 25 years' experience in creating custom furniture for private clients, interior designers and companies. NDC design and make furniture using both traditional and modern methods of construction, in solid timber and other materials, including glass, stainless steel, slate and granite. 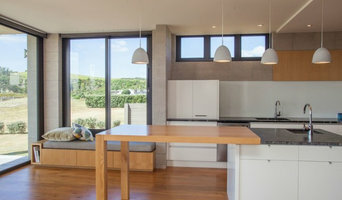 NDC's online store features design-led contemporary Scandinavian-style furniture, expertly hand crafted in the workshop in Tauranga, New Zealand. DeLux interiors Ltd is an Auckland based company that offers designer furniture for residential and commercial spaces and exclusively represents one of the leading European manufacturers of luxury furniture ByKepi in New Zealand. Our understanding of personalized comprehensive design, production and service make the spaces we touch unique. For those who want to create their own spaces, we do not only provide a livable environment, but we present a new lifestyle. Hand crafted from carefully selected materials and complex textures, our furniture and interior decorations bring the art of comfort and elegance to any room. We specialise in modern, art deco and classic furniture, and furnish a wide range of products for bedrooms, living rooms and lounges, dining rooms, library and offices. We provide an extensive selection of designer furniture collections, and also offer services for individual commissioned pieces to bring your most unique ideas to life. For commercial projects, we work on interior designs for hotels, restaurants, airports and other big spaces to bring professional sophistication to your requirements with superior quality, comfort and style. Annabelle's is a fresh new homewares and textiles boutique, opening both it's first flagship store and online store in early September this year. The flagship will be opening in the village of Havelock North in Hawkes Bay, which is the hometown of Annabelle Plowman. Annabelle founded Annabelle's at the beginning of 2016, after spending three years living in Europe. Following the successful sale of her mother Nicki's fashion business, Nicki Plowman Resort Wear, Annabelle and Nicki set off on a new venture, sourcing interiors. Nicki was sourcing for clients in the Pacific and Annabelle's was founded. Annabelle has always been inspired to follow in her mother's footsteps after accompanying her on buying trips around the world for both Bellaquartz Jewelry and Nicki Plowman Resortwear. These trips allowed Annabelle to make connections and build relationships with suppliers all over Asia, India and the Middle East, providing the solid platform from which she launched her own business. Annabelle's is reflective of Annabelle's own personal style, its combination of bohemian, luxe, ethnic and contemporary style. With everything from furniture, to textiles, lighting and decor, Annabelle's offers their customers a range of unique homewares and textiles sourced from around the globe. 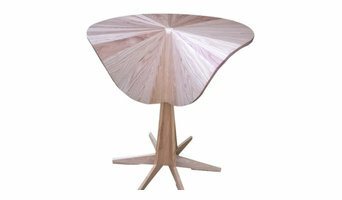 Corcovado is a specialist furniture and homewares store offering modern, hand-selected and limited edition pieces. With a large Christchurch showroom, we work with clients all over New Zealand and deliver nationwide every week. We also offer an Auckland appro service on our best selling items. 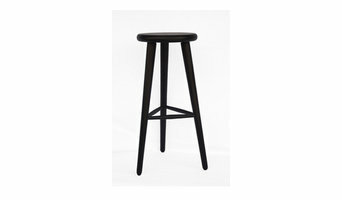 We are proud to design most of our furniture range here in New Zealand. We collaborate directly with talented NZ craftspeople and global artisans to offer unique and distinctive products. Our range is intended to celebrate the beauty of natural, sustainable materials and the "perfectly imperfect" nature of products created by hand. New Zealand design duo Penney + Bennett are devoted to creating simplicity, materiality and questioning the conventional in contemporary textile livingware. As Auckland based fine art college studio-mates Loren (Penney) and Sarah (Bennett) had the desire to combine different aspects of their varying fine art practices and apply them to functional and aesthetically simple design. Using only the highest quality natural cloth sourced internationally, the silks are hand picked and the organic linen is woven and dyed specifically for Penney + Bennett. The fabrics are the base for experimental prints consisting of a range of traditional painting, drawing, photography and digital techniques. These are finished into unique products crafted by hand in New Zealand. At the crossroads of lifestyle and fashion, furniture and interior design isn't just a matter of decor, but a path to a more inspired life. Home is the place we unwind from the past, live in the present and imagine our futures. For over 20 years, Station Road Home has invited our clients to explore a journey of style with unique and stylish furniture for bedroom, living and dining; upholstery, mirrors and decor all creating quality interiors of classic elegance for clients with well-educated style. Station Road Home brings together modern & heritage colours, textures and designs in tune with overseas style trends. 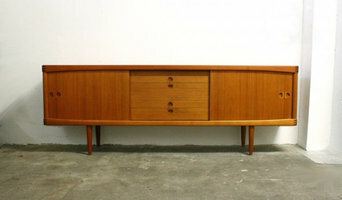 We are a French couple creating furniture which is made to last for a lifetime. Each piece is alive, it changes with age, and any new marks illustrate the passage of our lives. They tell stories and create memories. The majority of our work is custom-made furniture for residential, commercial or retail settings. We like to have a special connection with our clients from the beginning to the end. Indeed, to get to the perfect design we need to know a bit about their lives, the places they love, and their passions. We usually offer a visit to their home or premises, to get the best idea of the interior and any existing pieces. We are passionate about our work, and are perfectionists with all our commissions. Without wishing to intrude on our clients, we find we achieve their goals and ours when we understand their style and the setting. Established in 1998 & based in Auckland New Zealand, Sarsfield Brooke Ltd Imports & Wholesales furniture to Design Professionals within New Zealand and Internationally. Sarsfield Brooke represents (on an exclusive basis) 14 international furniture manufacturers, brands that are recognised worldwide. These brands have been specifically chosen because of their impeccable attention to detail, top quality production, prompt delivery & because they stand behind the product they manufacture. Representing this large selection of companies means we offer furniture for minimal to traditional interiors and for both Residential & commercial projects. Our furniture selection addresses projects requiring practical & cost effective solutions right through to the highly sophisticated & one off custom made items. Start your research right here on Houzz. Read through professionals’ profile pages to find out location info, look at any photos of their work and check how long they've been in business. Read any reviews by design professionals and find out which furniture makers offer the best customer service. If your style or space is unique, it will be wise to consult a custom furniture maker. Here are some related professionals and vendors to complement the work of furniture & accessories: Interior Designers & Decorators, Artists & Artisans, Kids & Nursery, Closet Designers and Professional Organisers, Bedding & Bath.